Blog / Hunker Down! How Cambridge Analytica is Changing Our Perceptions of Big Data. Have you ever watched a TV show about Bunker People – the people who build underground bomb-proof survival shelters? Most of these shows are highly entertaining and are worth a few minutes of your time. Often, the show depicts the owner – someone half bubble off plumb – in his survival gear, surrounded by the chosen few who will use this hideout in case the-big-one falls from the sky. The decor and amenities in most shelters are best described as early-Ozark; think Beverly Hillbillies before the oil and mansion. 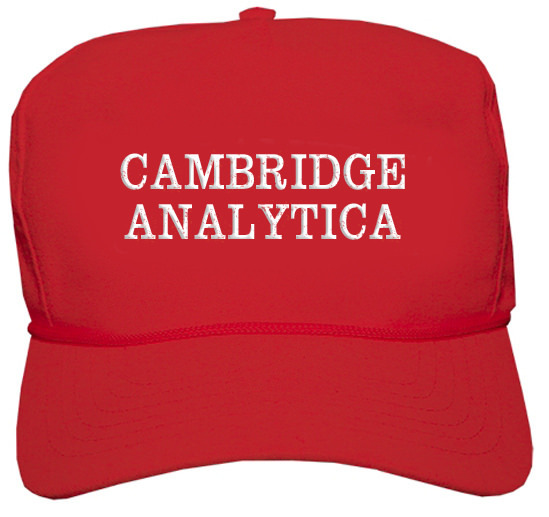 Like many of you, I have been following with interest the recent debacle of Facebook’s data being used by the British analytics firm Cambridge Analytica to influence election results. Facebook‘s stock is in free-fall and their Advertisers are running for the door. Mark Zuckerberg, founder of all-things-Facebook, must be thinking it’s time to hide in a bunker. This pot-boiler story has all the elements of a trashy thriller; political intrigue, corporate comeuppance, and red-faced political operators caught trading in secret data. There’s enough for every Conspiracy Theorist. Does anyone besides me find it ironic that Facebook is being pulled down by the very Social Media it created? Big Data – The giants of the Technology Industry (Google, Amazon, Facebook, among others) collect a staggering amount of data every day; billions of records – texts, photos, likes, search queries, website visits, and the list goes on. These big players may offer you products, services, entertainment, or communications, but their real stock-in-trade is their data. Their business models are built on selling access to their data to Advertisers and Analysts. Data is tied to the Source – For data to be useful, it has to be tied to a User, hence the constant reminders to login or create an account. In fact, the big players now collaborate to hide the tie-ins; login to a shopping website using your Facebook account. Or, the Google login automatically passes your account credentials as you surf the web, making it easier to enjoy your favourite YouTube video and shopping websites. They’re tracking you! Nothing is Destroyed – To make data really useful, the big players need history. So, they store everything. Think of it this way: That I surf a website to look at new cars is interesting to the Marketers at Ford, but the real gold is knowing that I’ve hit 25 Car Dealer websites in the last 2 weeks. They know I’m getting ready to make a purchase. There’s virtually no limit to the amount of data big players can store, because advances in storage (hard drives and solid state memory) mean that costs have dropped in the last 5 years, while storage capacity has increased. The big players have massive storage facilities all around the globe. They tell you it’s to protect your data from loss, but it’s more to do with the physical constraints of building data centers to store this stuff. Until now, most applications of Big Data have been commercial; somebody somewhere wants to sell you something. Our western culture has desensitized us to the point where we expect this messaging. There was nothing illegal about Cambridge Analytica accessing this data from Facebook; just as many other Boutique Analytics’ firms have been doing. And Facebook is not their only Big Data source; its just the one with the most egg on it’s face. But now this data is being used to influence other decisions; elections and political-will for example, by appealing to potential supporters, based on their Big Data profile. If you buy green beans and purple socks – and like to watch Darts on Fridays, the Analysts might think you’re a Greenpeace Sympathizer and craft a political message just for you. On the surface, we know Politicians have used Social Media for years, all political campaigns use it in one form or another. But Cambridge Analytica changed the game by accessing Facebook’s Big Data to look for specific Users who’s profiles would be receptive to its’ paid-for message. Whether this is appropriate use of Big Data is a question for you to answer. But it’s only the start. The advent of Big Data is a recent phenomenon; just the last 5 years. As the sophisticated Analysis and Technology advances, it will become more prevalent and easier to use. That means it’s easier to manipulate our decisions without us really being aware of it. How soon will it be before our choices about careers, life-partners, and morals will be influenced by Big Data? It may be impossible to stem the Big Data tide, but there are some simple things you can do to reduce the amount of meaningful data they collect from you and help reduce the targeted messaging directed at you; the digital equivalent of a bunker. Next week, I will explore some of these tips, all in an effort to provide you with stress-free IT.